With prayers for this city. 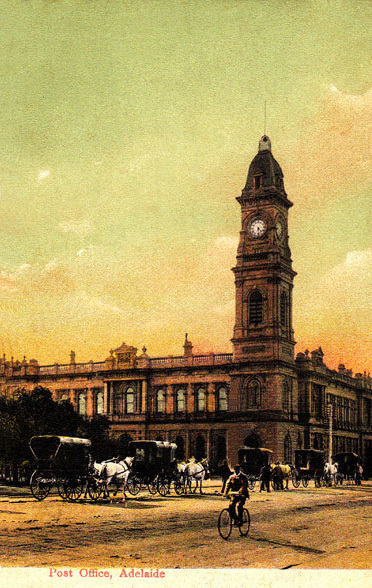 Completed in 1872, the Adelaide post office was part of the first Australian telegraph connection with the United Kingdom. Its outstanding feature is the Victoria Tower. 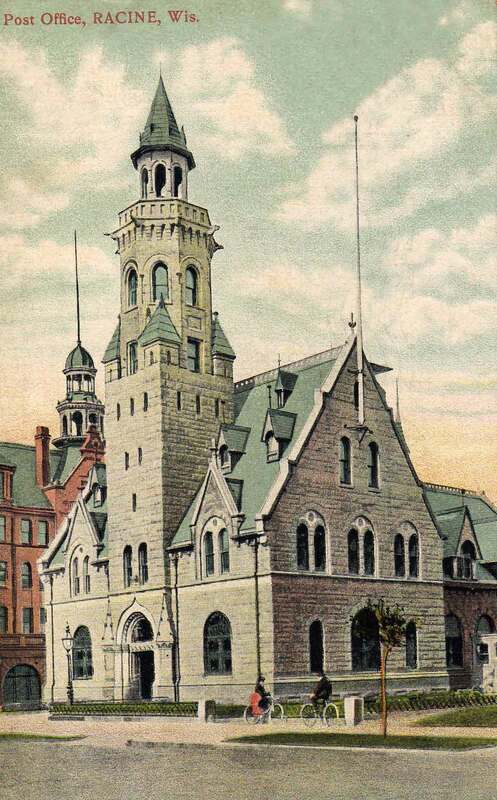 The building is still in use as the General Post Office today. I love the sky in this postcard view. 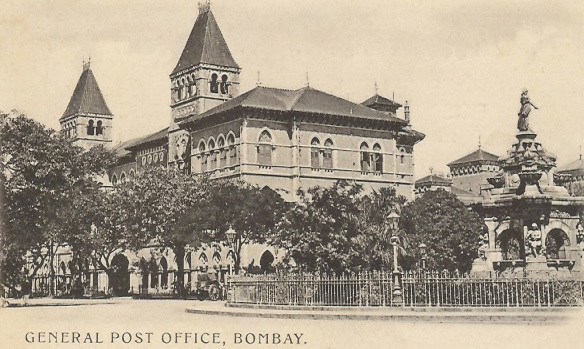 This colonial-era post office, in the Victorian Gothic style, dates from the 1880’s and is today the Central Telegraph Office in Bombay (Mumbai), India. The monument to its right is the Flora Fountain, built in 1864, dedicated to the Roman goddess of flowers. 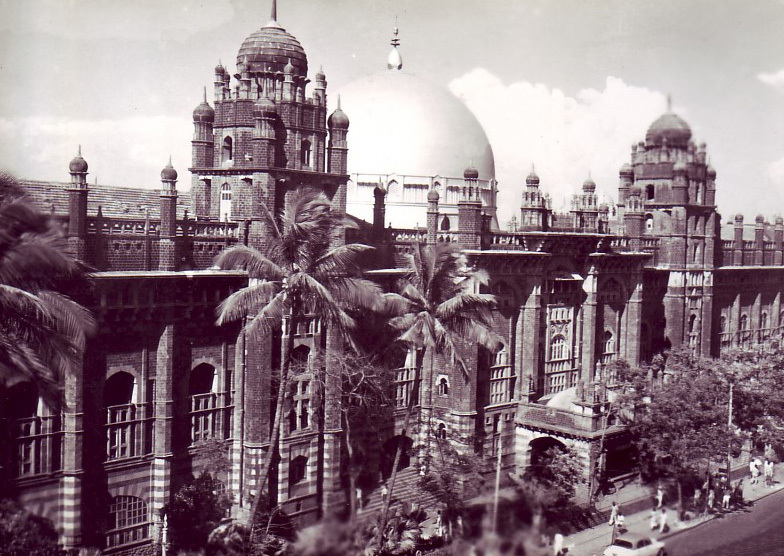 The post office above was replaced in 1913 by the post office below, said to be a paradigm of Indo-Saracenic architecture. The dome can be seen more clearly in this later view, and it has palm trees besides, always a plus in a post office. 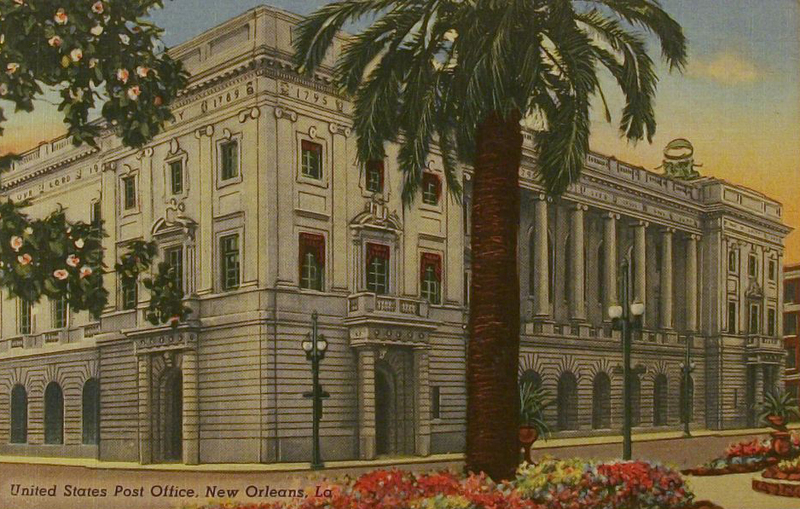 In 1885, the city of Memphis witnessed the completion of this unlikely but delightful Italian Renaissance post office, designed by James G. Hill. In 1929, a moron named James A. Wetmore “remodeled” the structure, demolishing the towers and obliterating the original. 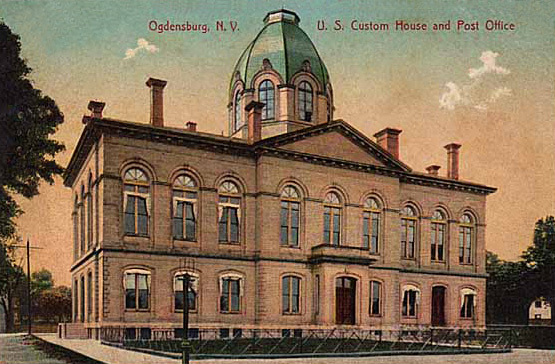 Just across the St. Lawrence River from Canada, in northern New York State, the Odgensburg post office stands at 431 State Street. 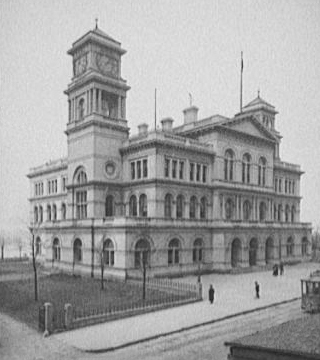 It was built between 1867 and 1870, designed by Alfred B. Mullett, for federal postal, customs, and court facilities. The Classical Revival building is built of sandstone and limestone. 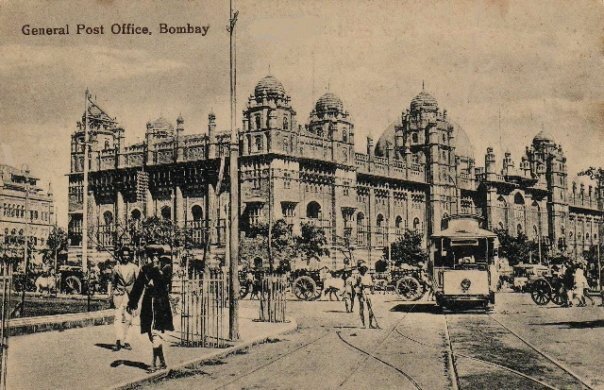 This early postcard (I love the sky) shows the post office with its original dome, which seems to have been removed sometime around 1910. The building was refurbished in 2003, and is still home to the post office. 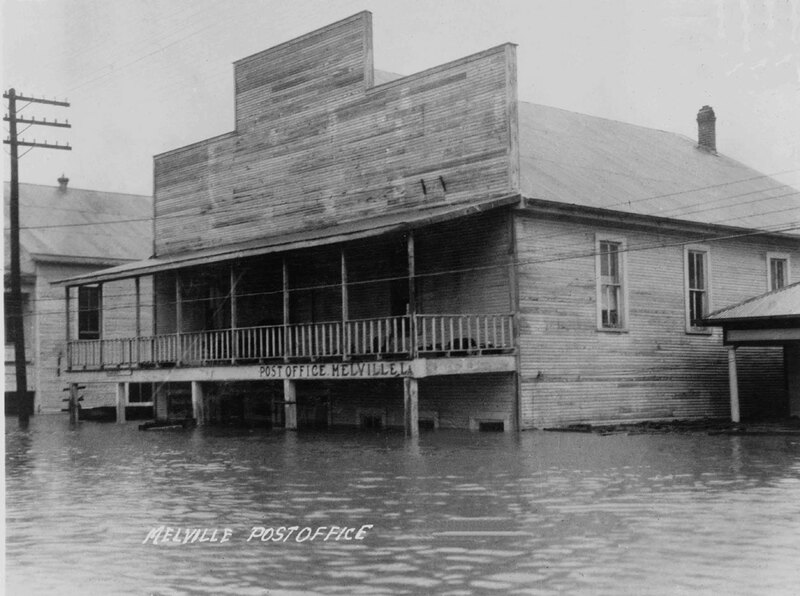 The Melville, Louisiana, post office went under in the Great Flood of 1927 when the Atachafalaya River topped the small town’s levees. This image is from the collection of the U.S. Library of Congress. For a time, Racine, Wisconsin, on the shore of Lake Michigan, was home to this very vertical post office. 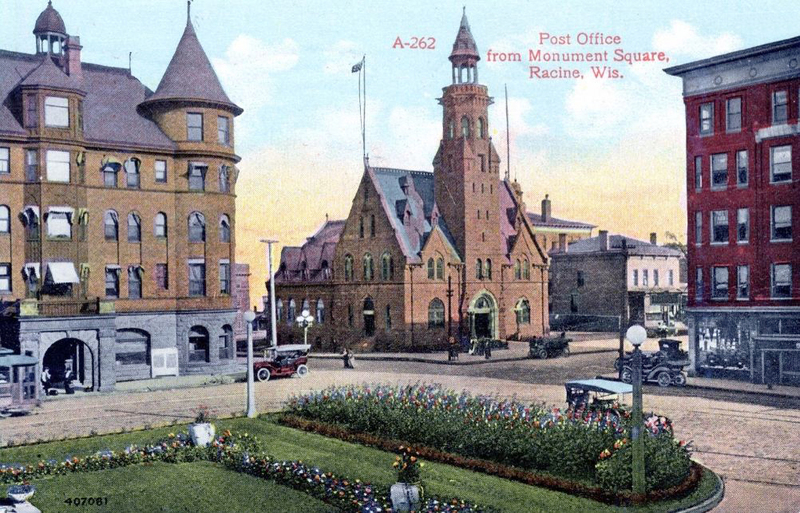 The post office was gone by 1930, replaced by a box, but Racine can still hold its head high as the birthplace of malted milk and the in-sink garbage disposal.